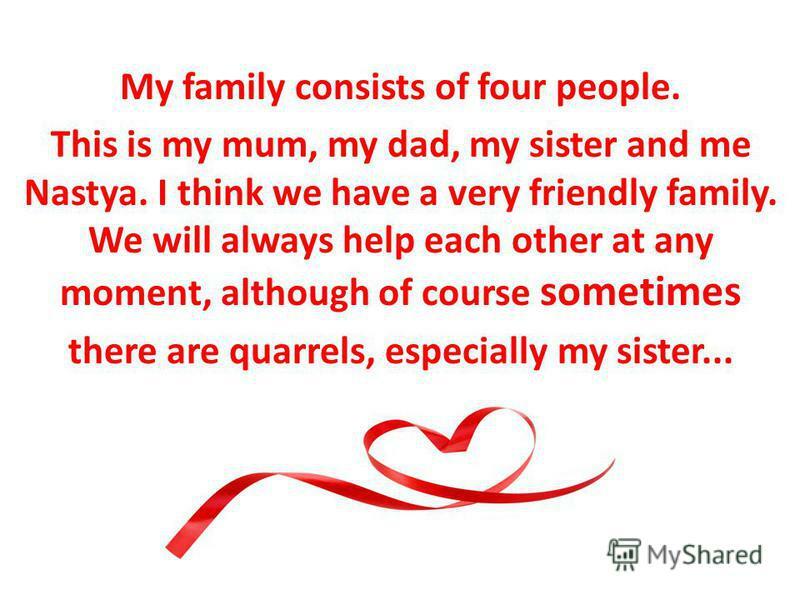 Презентация на тему: "My family My family consists of four people. This is my mum, my dad, my sister and me Nastya. 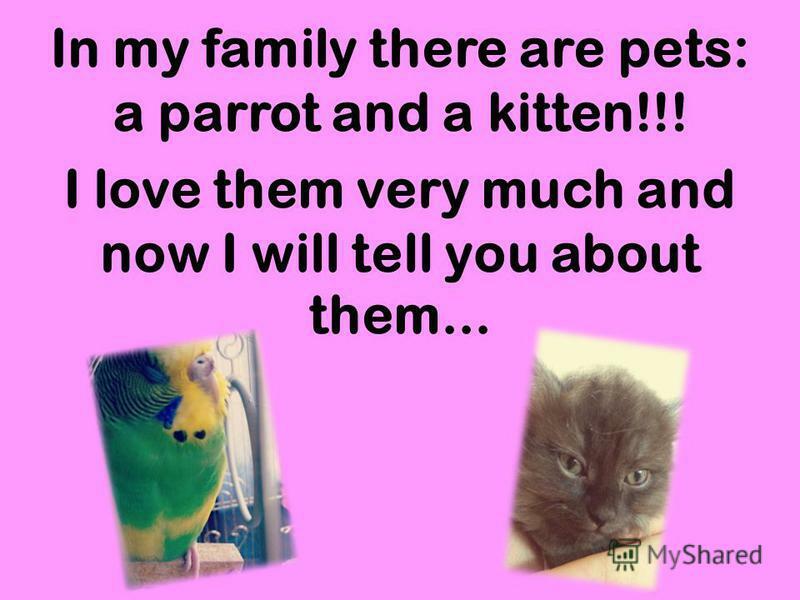 I think we have a very friendly family. We will always help.". Скачать бесплатно и без регистрации. 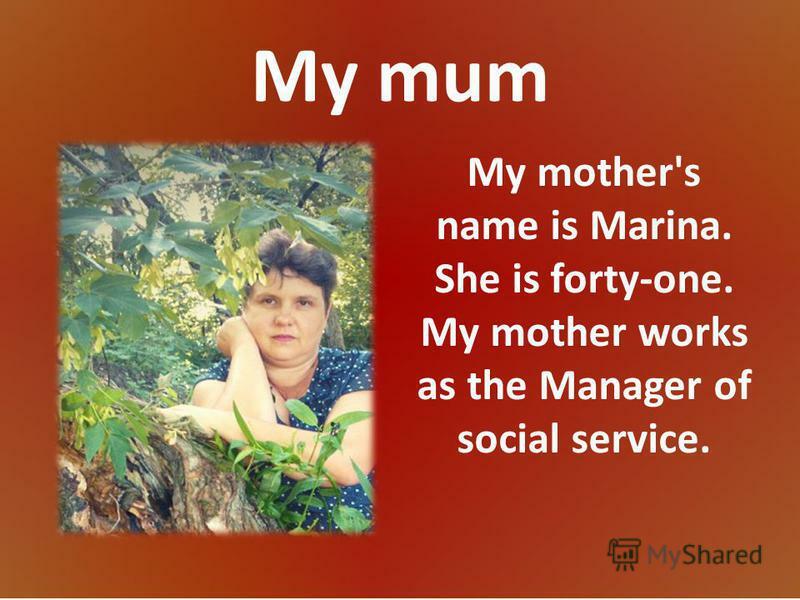 3 My mum My mother's name is Marina. She is forty-one. My mother works as the Manager of social service. 4 My dad My daddys name is Sergey. He is forty- three years old. My dad works as a machinist-polyesian. My dad loves fishing and hunting! 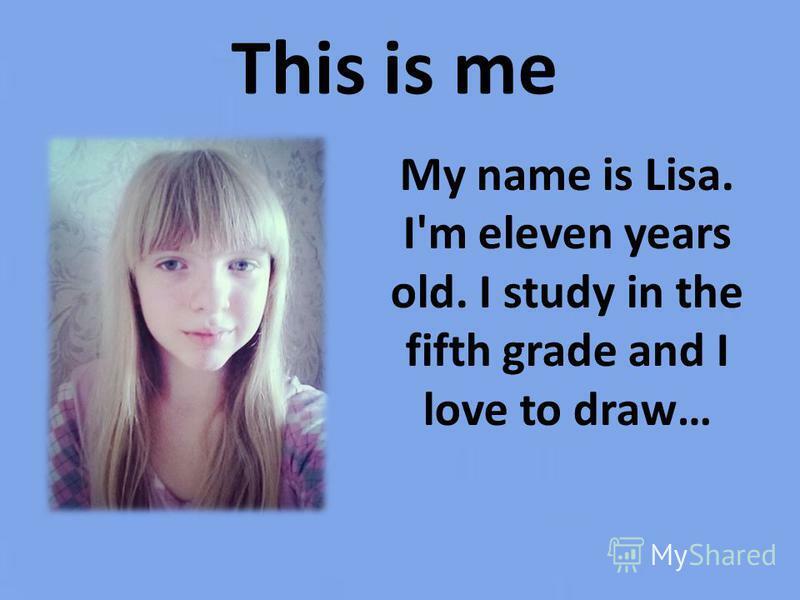 5 My sister My sisters name is Anastasiya. She is nineteen years old. She graduated from auto school and now looking for work. My sister wants to earn money to support our family. 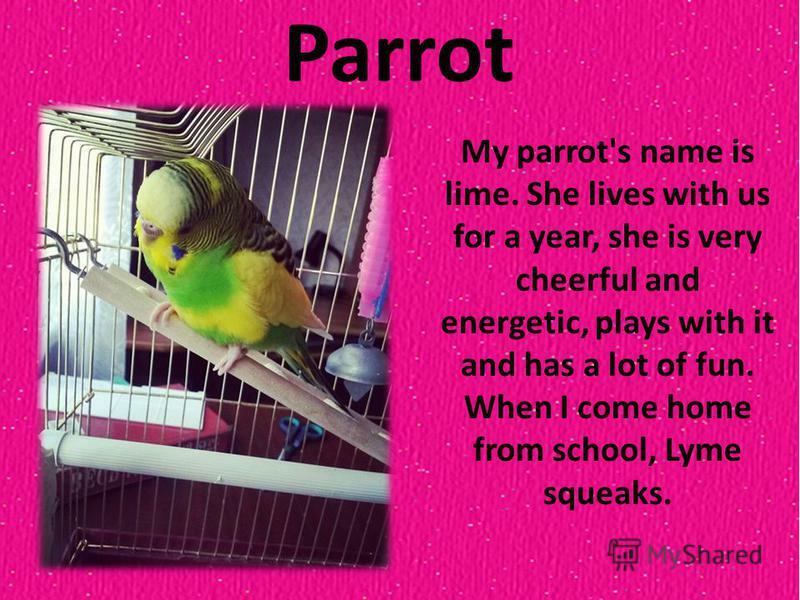 8 Parrot My parrot's name is lime. 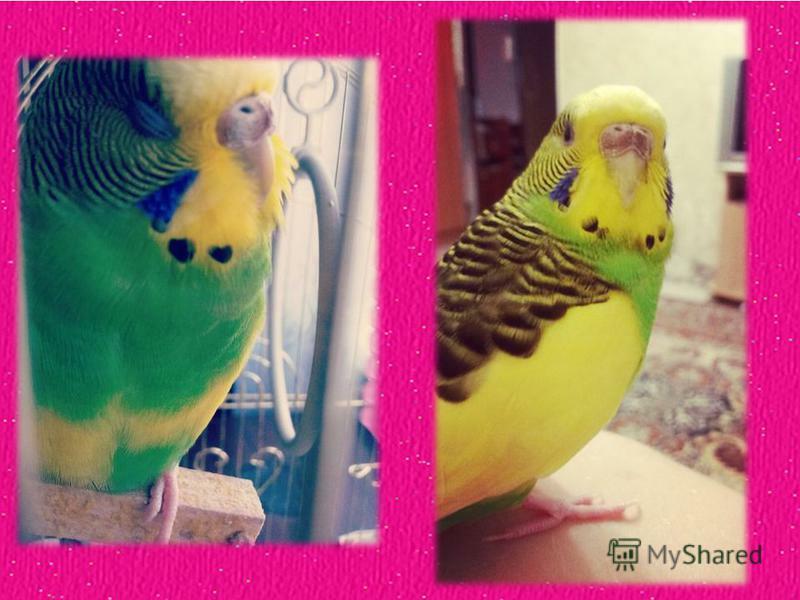 She lives with us for a year, she is very cheerful and energetic, plays with it and has a lot of fun. When I come home from school, Lyme squeaks. 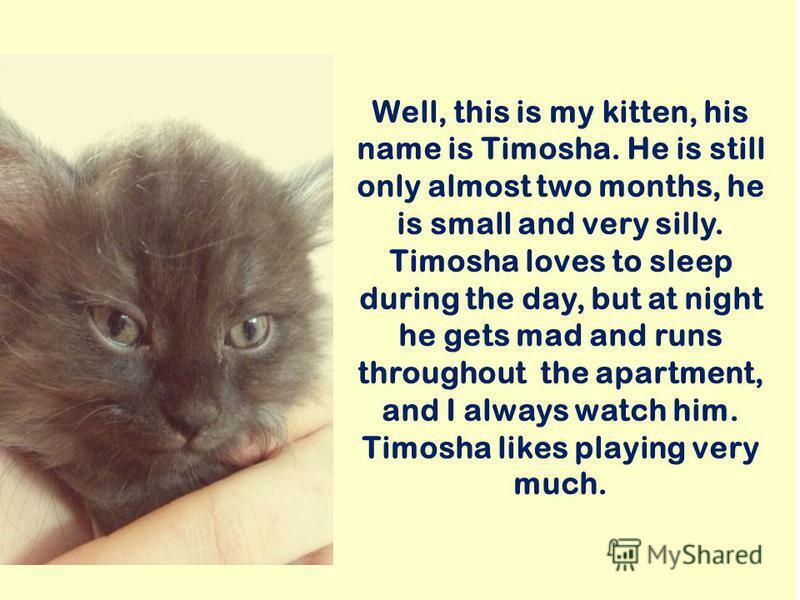 10 Well, this is my kitten, his name is Timosha. 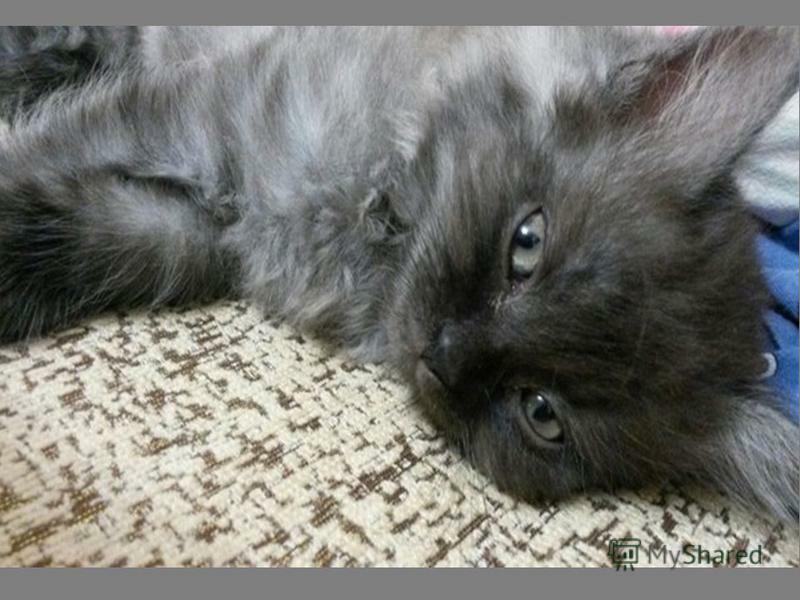 He is still only almost two months, he is small and very silly. Timosha loves to sleep during the day, but at night he gets mad and runs throughout the apartment, and I always watch him. Timosha likes playing very much. 11 My kitty loves chasing his feet. When I go into the kitchen he "flies" over my feet, jumping on them and bites. 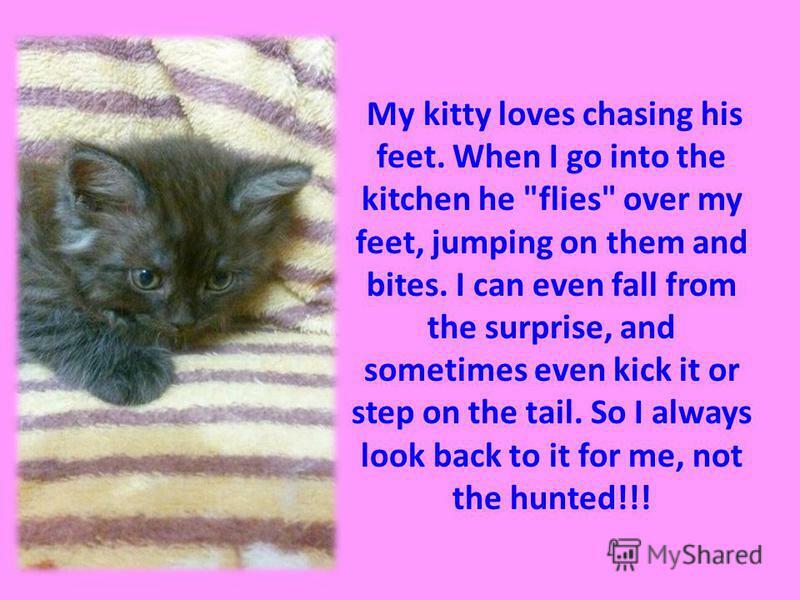 I can even fall from the surprise, and sometimes even kick it or step on the tail. So I always look back to it for me, not the hunted!!! 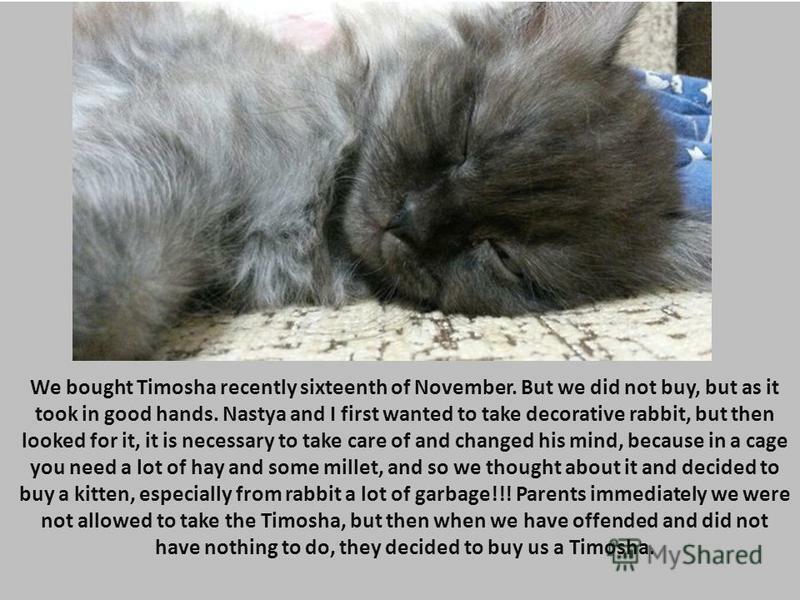 12 We bought Timosha recently sixteenth of November. But we did not buy, but as it took in good hands. Nastya and I first wanted to take decorative rabbit, but then looked for it, it is necessary to take care of and changed his mind, because in a cage you need a lot of hay and some millet, and so we thought about it and decided to buy a kitten, especially from rabbit a lot of garbage!!! Parents immediately we were not allowed to take the Timosha, but then when we have offended and did not have nothing to do, they decided to buy us a Timosha. 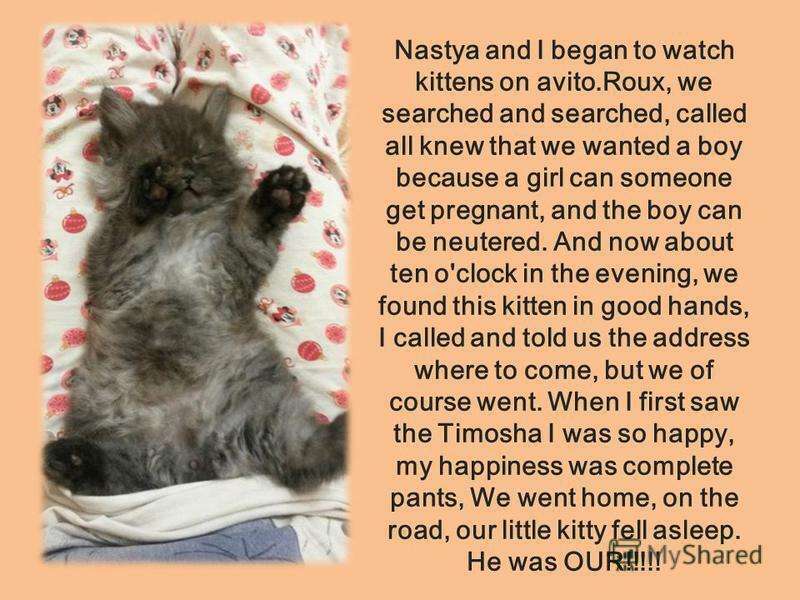 13 Nastya and I began to watch kittens on avito.Roux, we searched and searched, called all knew that we wanted a boy because a girl can someone get pregnant, and the boy can be neutered. And now about ten o'clock in the evening, we found this kitten in good hands, I called and told us the address where to come, but we of course went. When I first saw the Timosha I was so happy, my happiness was complete pants, We went home, on the road, our little kitty fell asleep. He was OUR!!!!! 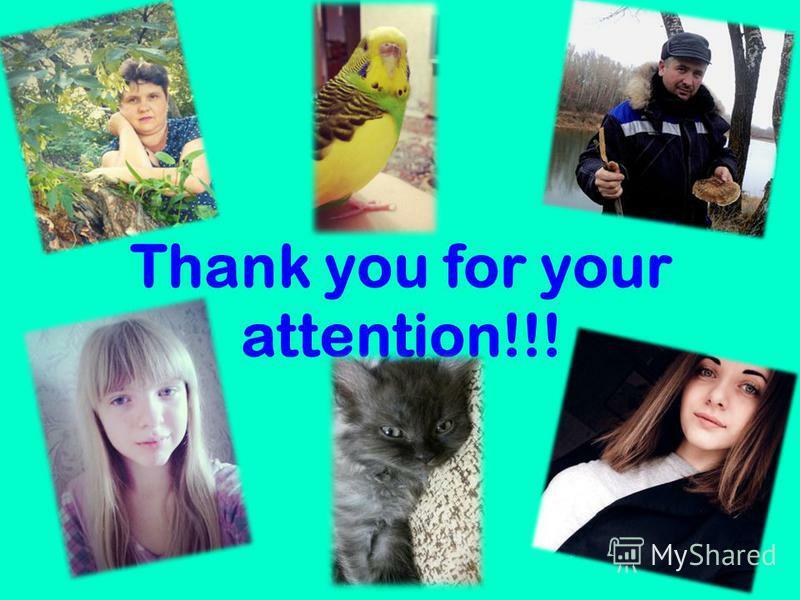 15 Thank you for your attention!!! Our Christmas Holidays C Senior 1. VAGGELIS In my Christmas holidays I didnt do anything special! I just stayed at home with my family. On Christmas Eve. Khabarov Yuri Mikhailovich- my teacher of PE. Sinitsina Alexandra 10 «B» form School 3 Alexandrov Vladimir region. 2013. ПАТРИКЕЕВА ТАТЬЯНА АЛЕКСАНДРОВНА УЧИТЕЛЬ АНГЛИЙСКОГО ЯЗЫКА МОУ СОШ 2 Г. ЛИХОСЛАВЛЬ TEENAGE LIFE IN BRITAIN AND IN RUSSIA. Come into the classroom. Come into the classroom. And say your name. And say your name. Hand in your homework, Hand in your homework, Dont play a game! THIS IS HALLOWEEN! Halloween. 31 October is Halloween. This festival celebrates the return of the souls of the deads who come back to visit places where. What is a family? Who is a family? One and another makes two is a family. Baby and father and mother: a family Parents and sisters and brothers: a family. Выполнила ученица 6Г класса Метелева Анастасия. My little kitten I have a kitten. It is Scottish straight. It is named Anfisa. It is so funny and beautiful. My Discovery Red Panda Oleinik Elena 5 «а» grade Tavricheskaya gymnasium.